At the top of our list is New York University. They have a beneficial landscape design that helps their campus and surrounding community. Sustainable soil usage with composting and mulching. The next is the University of Maryland. They have implemented conservation landscaping which concentrates on benefiting the local environment. The third is Texas Tech who has adopted a landscape design to benefit its students and the environment. They have received several achievements with their design which includes the LEED Silver Certification. Landscape Design at colleges and universities has many advantages. 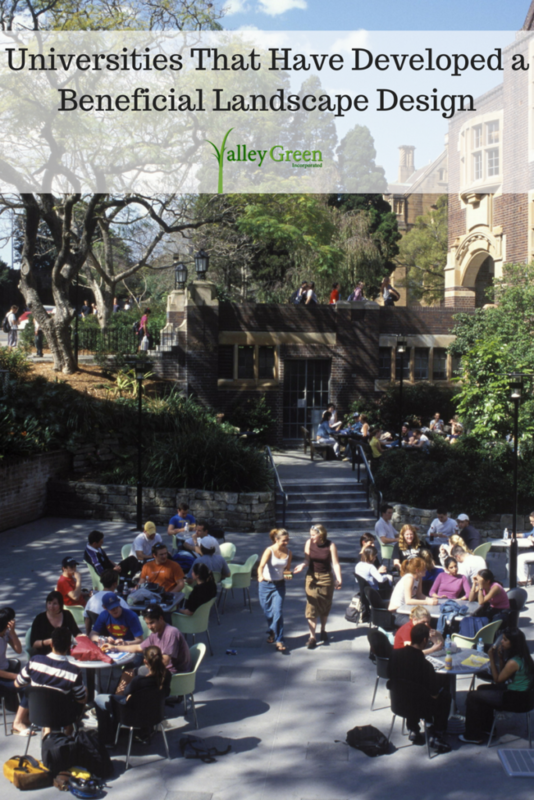 If your university adopts a beneficial landscaping plan, consider these other benefits. Aesthetics: An attractive campus is more likely to attract prospective students and their parents. Cleaner Air: Plants absorb carbon from the air which in turn gives students cleaner air to breathe. Noise Reduction: Plants can help reduce noise on campuses in larger cities. Safety: A well-maintained university landscape could prevent accidents.